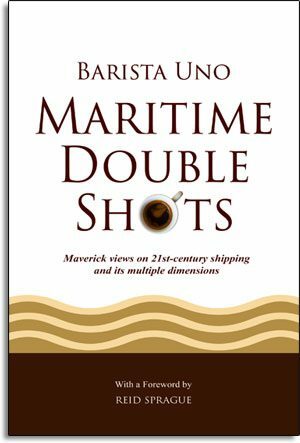 A first-hand account of life in the world’s ship manning capital by Barista Uno, a well-known blogger and maritime commentator. Rich in insights and factual information, it will take you on a journey through a maritime landscape peopled by interesting, hilarious and even strange characters. Available in PDF, EPUB and Kindle formats only. You can download ALL THREE at no extra charge. Kindle and EPUB are best for smartphones, tablets and e-book readers. This book also offers a unique and compelling analysis of the legacy of the dictator Ferdinand Marcos and other factors that have helped shape the character of the Filipino maritime community and the society at large. It is a daring social commentary that should give readers entertainment as well as food for thought. 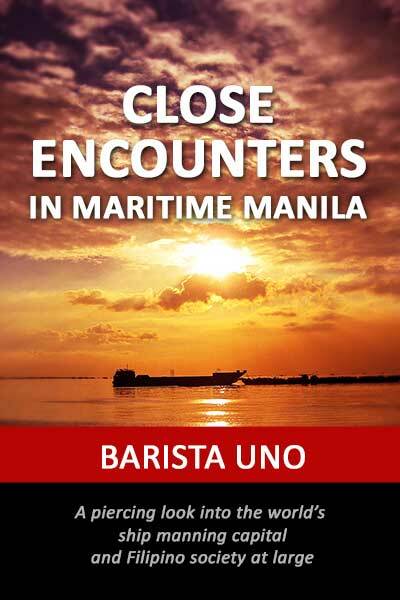 Barista Uno is the pen name of a former shipping and ports journalist known to his fans worldwide as BU. He is based in Manila and is the man behind Marine Café Blog (www.marine-cafe.com) and the author of the 2017 e-book, “Maritime Double Shots”. I say, that was one of the best reads ever! I had fun reading and OMO!!! I can probably name all the personalities described in the book. That meeting with Capt. Gregorio Oca was something I can actually relive in my MIND as I know both of them, the writer and Capt Oca. Cap can indeed be intimidating but compassionate, and Barista Uno is soft spoken but equally intimidating as well when he starts grilling you . Two of my favorite people and of course it made me miss Capt. Oca. Just finished reading it. Eye opening, and very well written. I loved this book. Highly recommended! Not only is it very informative, it also offers insightful and humorous stories that reflect society.